A 28-year-old man faced the ACT Magistrates Court this morning (6 June) charged with possessing a prohibited firearm, possessing ammunition, and possessing a drug of dependence after a Taskforce Nemesis operation. The Kingston man was charged after police found a gun, ammunition, drugs and other items in his car during an operation targeting outlaw motorcycle gangs on Tuesday night (5 June). ACT Policing said officers conducted a targeted operation amid “growing tensions within the Comancheros” and believe several recent incidents within the ACT have occurred as a result of these tensions. During the operation last night, officers stopped a silver BMW 328i on the Federal Highway near Watson. 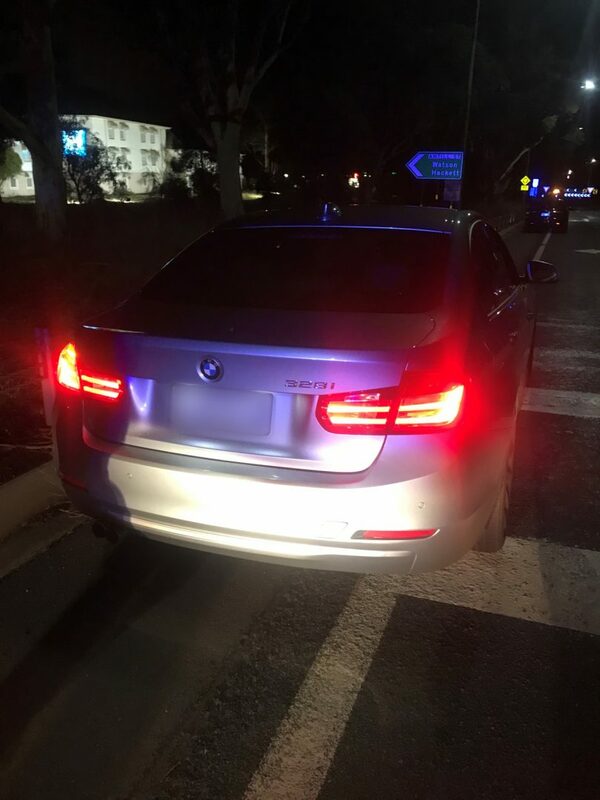 During a search of this vehicle, police located a sawn-off rifle, ammunition, balaclavas, gloves and black clothing, a sheet, and a substance believed to be methylamphetamine. Police appealed for any witnesses or drivers who may have dash-cam video of the operation on the Federal Highway to come forward. Anyone with information on this or any criminal gang-related activity is urged to contact Crime Stoppers on 1800 333 000, or via the Crime Stoppers ACT website. I reckon if they stopped more BMWs, they’d find a lot more firearms and meth.